Karin Flatøyn Svarstad, Norway: To be represented in the book "Artists Across Continents"
A native Norwegian, born in Ålesund, on the western part of Norway. She has worked with wool for more than 30 years and has spent the last 18 years working with wool from the Villsau (the Norwegian native sheep, Old Norse sheep). She is actively involved in education, travelling extensively to give presentations and workshops and to stage exhibitions of her own work. 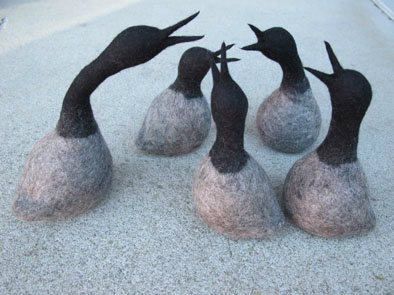 She also leads the Sommerakademiet and runs her own gallery, Galleri Frøya, and studio and craft shop in Kalvåg in Sogn og Fjordane on the west coast of Norway. 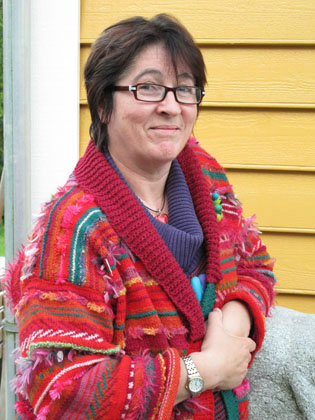 With a background in arts and crafts as well as marketing she has been involved in many initiatives for the development of rural small scale industry in Norway, Shetland and Orkney. 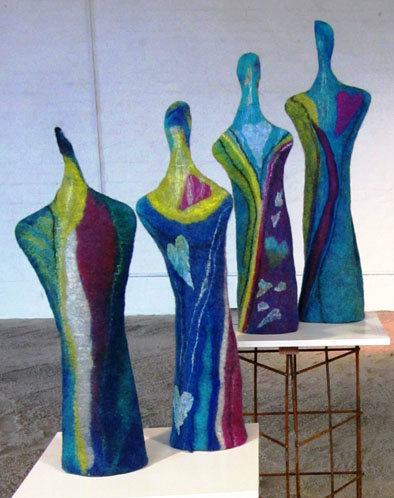 She has a broad and long artist background and has participated in several exhibitions in: Norway, Scotland, Denmark, Iceland, Italy, UK, and France. 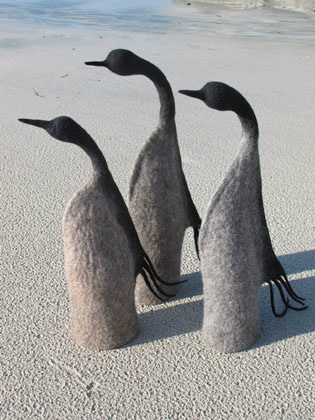 She is also represented in the book Wools of Europe and in the exhibitions with the same name. A travelling exhibition in Europe. 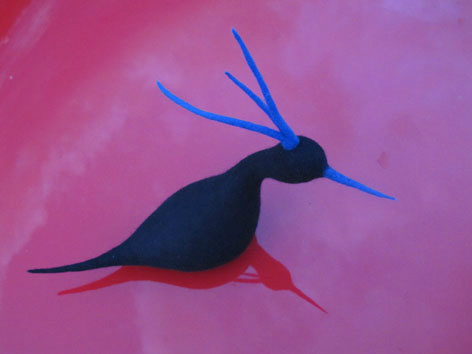 She get the inspiration from the coastal landscape, the sea, birds, people and the nature in general. 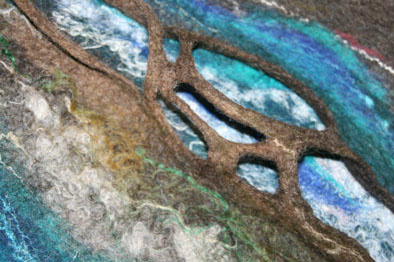 She use a mix of different kind of fibres, this give here a possibility to make different forms, lines and surfaces. She mixes different colours and fibres to make her own unique colours. She is the founder of North Atlantic Native Sheep and Wool, this is a project circulating through the countries in the NorthAtlanticSea.